Sleep through the night without waking up to eat. 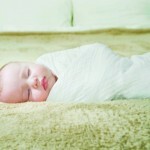 You have a lot of things working to your advantage when sleep training your baby, especially at the newborn stage. 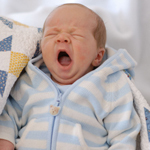 Newborns must sleep 16-18 hours a day, a need that eventually overpowers the will to make your life miserable. The sooner you establish good sleep habits for your baby, the better, because as he grows and gets stronger, he’ll be able to cry much louder for a longer period of time. I do not subscribe to the cry it out method, in which you just let your baby cry for hours until he or she falls asleep exhausted. Nor does our pediatrician. Instead, you should let your baby cry for 10-15 minutes. Then, you go in, tuck in the blanket, re-insert the pacifier, and walk back out. For this to work, your trips in and out must be brief, and you must not pick up the baby! If you’re serious about sleep training your baby, you must resist this compelling urge. Otherwise, you’ll teach your baby that if he cries enough, you’ll cave and pick him up. Instead, you must keep your visit brief, so that the baby comes to realize that this is how it’s going to be. Still, your brief visits will reassure the baby that you’re close by and can hear him or her, which is important. It’s a bit more work, but less draconian than the cry it out method. I personally think it’s just as effective. Heck, we’ve used the same technique on an unruly 2-year-old and had success. It breaks my heart. Yes, it usually does. There’s a fundamental, biological instinct to run to your child when you hear crying. Be strong! In the long term, your baby will have no memory of being left to cry. 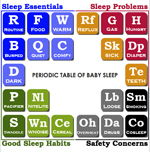 Of the two of you (parent and baby), only one is strong enough to teach proper sleep habits. It’s you. If you have to, close the door tightly, go to the far side of the house and put on the radio or TV or something. Concern about injury or long-lasting psychological effects. There’s no need to worry about this! I have read many times from reliable sources how unlikely it is that your infant could be hurt simply by crying. And, as I mentioned, your baby will have no memory of this by the time he’s a few years old. So no worries about long-term psychological issues. 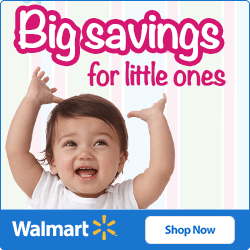 See our reviews of video baby monitors if you’re still worried. 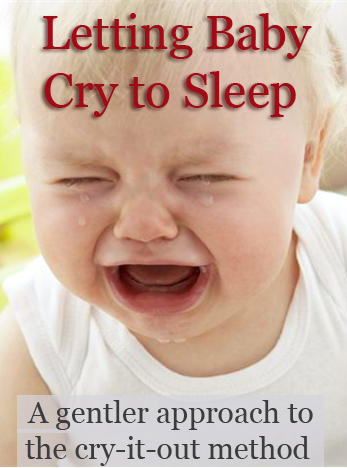 The crying baby might wake siblings or others in the house. This is a tough one, especially for us since we have twins and a 2-year-old. If you’re serious about sleep training and want to get results, you will have to find a way to make it work. We brought the good sleeper into our room (in a small crib) and put a fan for white noise in the 2-year-old’s room to help keep everyone [else] asleep. The first and best piece of advice that I can offer is this: remember the big picture. You’re not doing this to torment your precious baby, you’re doing it to help him or her establish healthy sleep habits. Succeeding will pay you dividends, not just tonight, but every night thereafter. 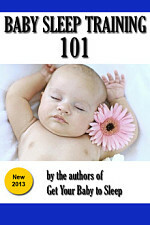 More sleep for you, healthier sleep for your baby. That’s the goal. Set up a sound machine or soother to comfort your baby while you’re out of the room. Be consistent! Use a timer (set for 10-15 minutes) to indicate when you can go back into the nursery. For your own sanity, turn on a TV, radio, fan, or some other form of noise. 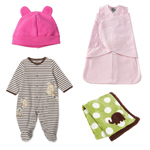 Keep extra pacifiers and a night light handy to make your soothing visits brief.